We are partway through the Mid-Atlantic Innkeeping Conference in Lancaster, PA. Nice trade show with about 45 vendors, several meaty general sessions and over 30 timely workshops dealing with the latest marketing trends, local and fresh food ideas, and topics of broad interests for all innkeepers. The organizing group of innkeepers, most from right here in Pennsylvania, did a GREAT job of putting together this necessary and interesting innkeeping event. Thanks! Thought I would pass on a few photos with some of the interesting topics and networking connections that are so important in this industry. 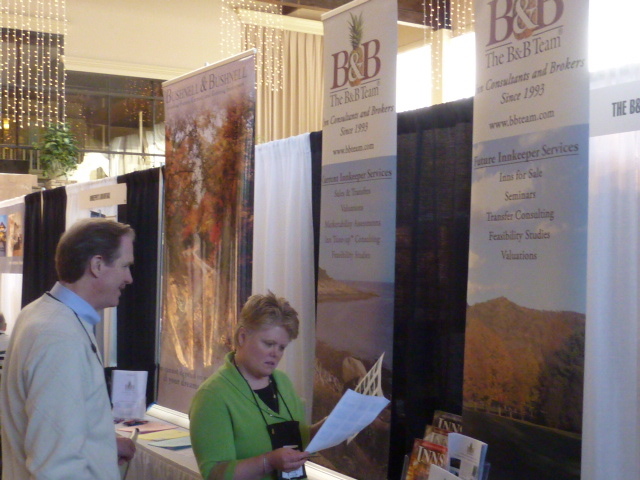 Above, Peter and Lynne from the Australian Walkabout Inn, a 5 room inn right here in the Lancaster area, and one of the voluteer orgainizer team members, discuss one of the services of The B&B Team. 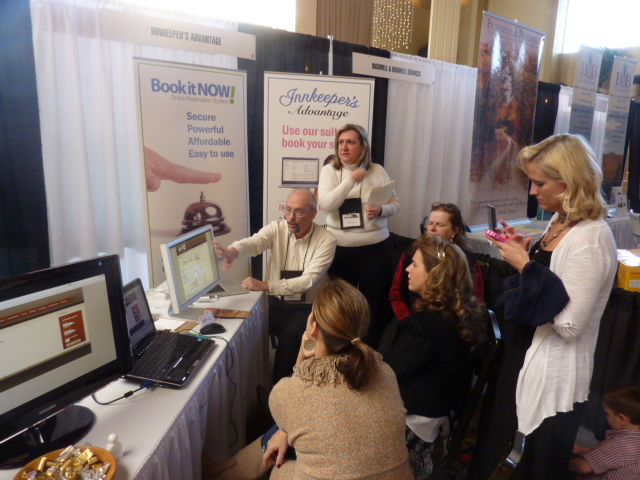 To be fair to the 45 vendors and their comments, the one-on-one face time was a bit limited with the packed agenda of the conference but there were a few short periods of time where the innkeepers had the opportunity to try to visit them all. At the Innkeeper’s Advantage booth, an integrated online reservation, blogging and guest management software 2009 newcomer, Felix and Cindi Bachman demonstrate the advantages to innkeepers who are seeking a strong, guest friendly, applications to help manage the diverse needs of inn operations. house (with potential!) to their active and ideally located 3 room inn on the active and tourist-rich Chesapeake region of Maryland’s Eastern Shore. How many of us innkeepers have had the desire to log and publish our stories and memories of our innkeeping careers? 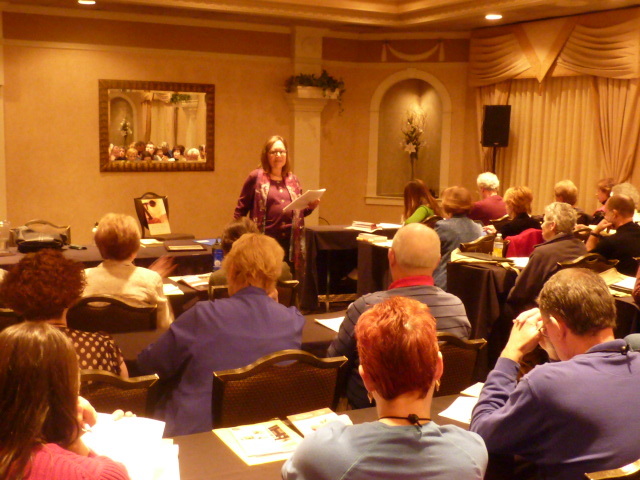 Carol shared the Do’s and Don’ts of her experience leading to the successful launch of her work and advice to innkeepers interested in effective press releases, cookbooks or memoirs. This entry was posted on Tuesday, March 8th, 2011 at 6:51 am	and is filed under Innkeeping Business, Market Trends, Marketing, Social Media. You can follow any responses to this entry through the RSS 2.0 feed. Both comments and pings are currently closed.